Home In Dubai! 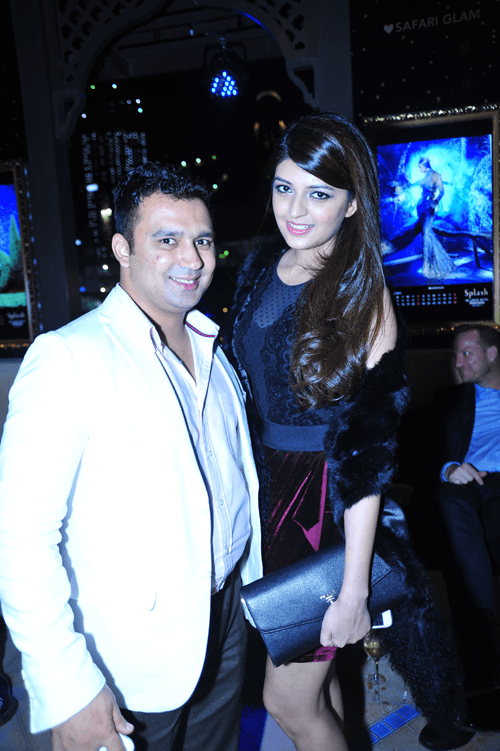 Splash Calendar unveiled by Esha Gupta! It’s not unknown that individual style is ruled by powerful star signs so this 2015, the Splash Calendar blends the world of the celestial and fashion. 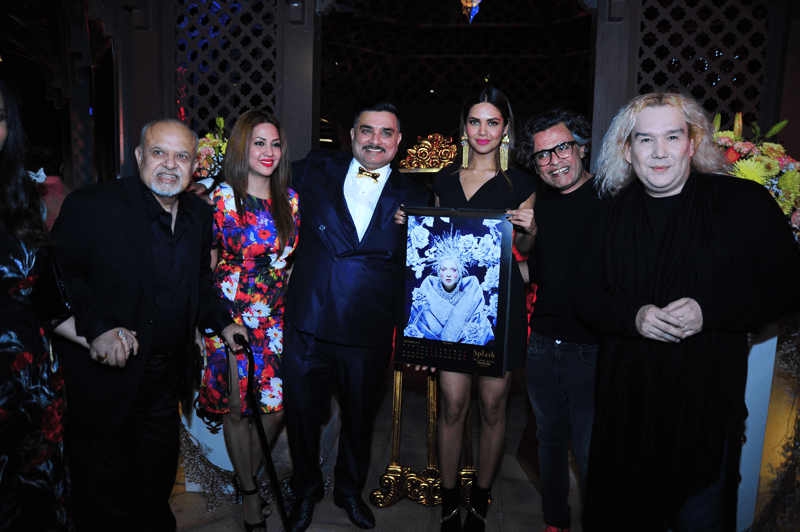 Titled ‘In Love with Fashion’ Volume II, the Calendar was unveiled by Mr Micky Jagtiani, Chairman, Landmark Group, Mr Raza Beig, CEO, Splash and ICONIC along with the gorgeous Splash Brand Ambassador and Bollywood actress Esha Gupta at the Viewing Deck, Palace Downtown. Shot creatively through the fashion lens of Tejal Patni the Calendar explores the dominant characteristics associated with each zodiac sign and connects that with the style sensibilities of Furne One @ Amato. As we flip through the 12 pages, the Calendar tastefully blends styles and silhouettes, timeless fabrics and design aesthetics with a fashion editorial eye to visually express the signs. While each month is an individual story brought alive by dramatic sets & lavish props, the Calendar is bound by an invisible thread of the brand’s philosophy of ‘In Love with Fashion’ and each image evokes a broad range of expressions. Bound to delve into the nuances of the most popular trends these vivid images promises to capture your attention the moment you set your eyes on it. The trends have been highlighted and brought in the forefront by marrying two diverse worlds through a story that defines their relationship. A Cancer sign known to be simple, loving and protective is dressed in the Mod trend with scissor hands to signify the dominant characteristics while Leo is motivated, ambitious and majestic and suitably dressed in pure opulence to bring reflect Safari Glam. Virgo is aptly portrayed in the Floral trend as it brings out characteristics like faithful, sensual and loving and the color white symbolises purity and so on and so forth. Each trend lends itself well with the signs and identifies and enhances the traits associated with it. “Sometimes the simplest and straight forward ideas are truly the best direction which is seen in this calendar. Our calendar tastefully blends styles and silhouettes, timeless fabrics and design aesthetics to visually express these 12 signs. 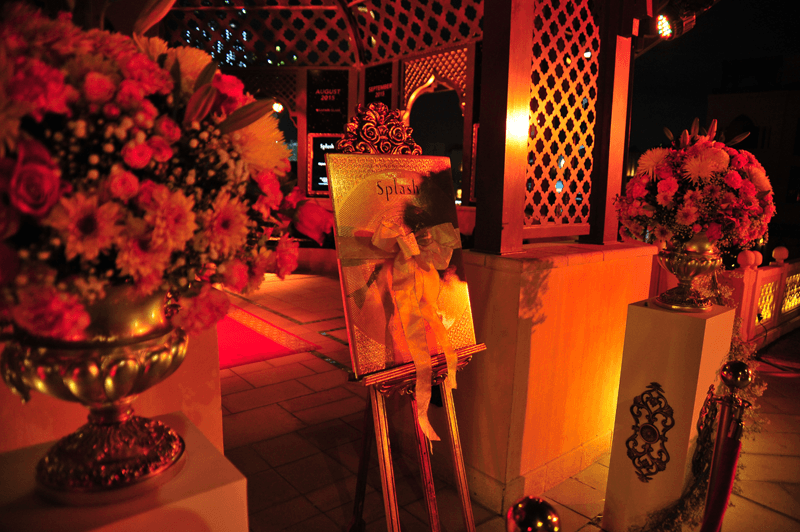 As you flip through the months, each image will tickle the creative urge that this fascinating combination of art, vision and fashion has to offer,” said Raza Beig, CEO, Splash & ICONIC. “I have had the privilege of being a part of this project since its inception and the experience just gets better. It’s now a family with Raza and Furne and the team at Splash which makes the calendar all the more special. In this 5th edition, I explore Zodiac signs and infuse them with a high fashion twist. Each photograph in the calendar represents a star sign and narrates its traits using visually compelling stories, styling and set design. 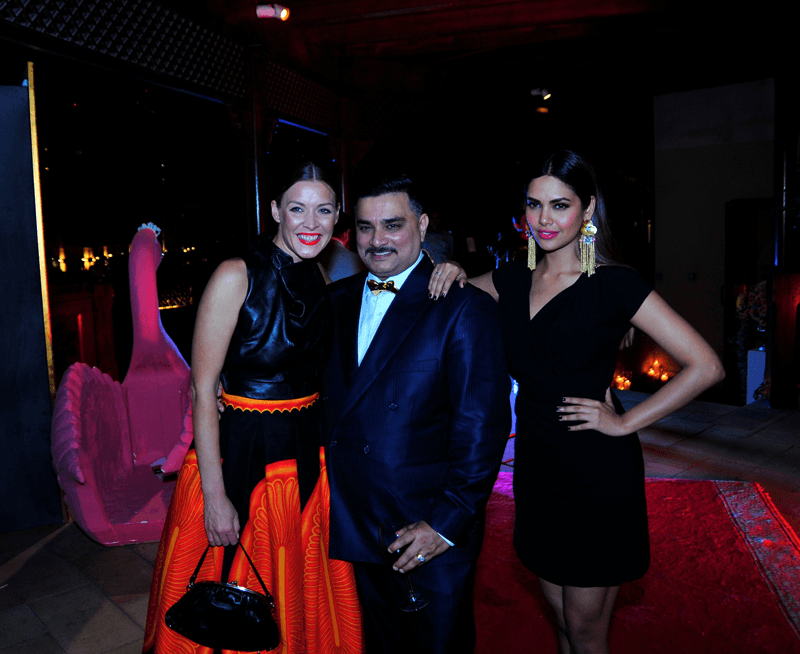 The result, like always, is a vibrant and eclectic calendar that delights the eye, heart and imagination,” said Tejal. A numbered 500 piece limited edition calendar; it will be gifted to the region’s movers and shakers which include media, opinion makers, partners and VIPs. Also with a vision to make the calendar a part of ever consumer’s living space, the calendar will be available in a desktop version, across all Splash Stores at a minimum purchase of AED 150. 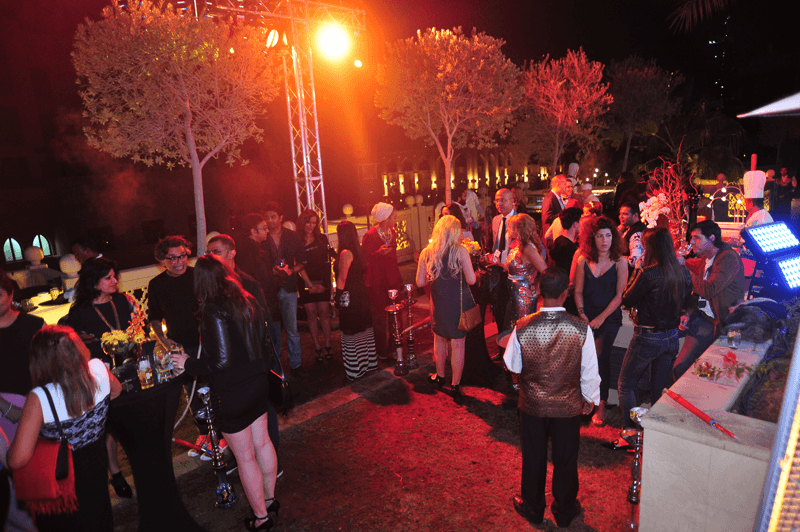 Pictures from the Splash calender launch! Unpredictable, flamboyant and progressively intellectual, Aquarians know how to use their heads to turn heads. Sensitive to style and unarguably artistic, dreamy Pisceans can only be victimized for being fashion idealists. Leaders of trends and not mere followers, impulsive Arians believe if you’re not making fiery, fashion statements, you’re not making sense. Obstinate about the finer details you can depend on uncompromising yet realistic Taurus to pull off a look that pulls crowds. As the most versatile dressers with oodles of experimental style, astute looking Geminis are common targets of the ‘double take. Lovers of comfort and creativity, spontaneous and sensitive Cancers wear their stylish wardrobes as their protective shell. Proud of their inimitable dramatic flair and with their grand desire for wearing all that’s vibrant, Leos were born to rule the style game. Purveyors of the puritan style and loyal to everything in vogue, minimalistic loving Virgos are irrational only about perfection. ironically, refined and modish Librans can be so indecisive, only they can achieve the perfect balance in style. Passionate about the perfect fit and stubbornly stylish, it’s no secret why seductive Scorpions are the ultimate fashion magnets. Adventurous and extrovertly trendy, you can expect fashionably flexible Sagittarians to nail the bull’s eye of style. To stay updated regarding the association and for exclusive content, login to any of the Splash social media platforms at www.splashfashions.com , www.facebook.com/splashfashions , www.twitter.com/splashfashions .